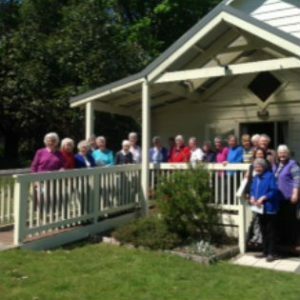 On Sunday, October 8, the Sisters of Charity said farewell to Comely Bank, 48 Myers Creek Road in Healesville. Sr Colleen McDonald, who has been ministering at Comely Bank for 15 years, invited several parishioners who have been associated with her and the place to join the Sisters for the proceedings commenced at 11.30am with a Liturgy of Farewell in the hall, followed by a picnic lunch. The farewell to Comely Bank saw the end of the Sisters of Charity’s 71-year history on the site. 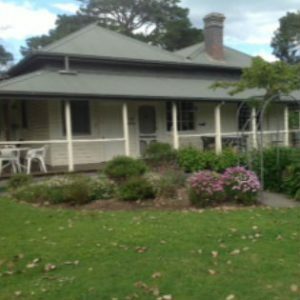 During their tenure, the house has had many lives – a retreat and recreation haven for the Sisters for more than 50 years; a temporary home in 1954 for Cistercian monks while Tarrawarra Abbey was being built; in 1990, in collaboration with St Vincent’s Hospital, it became a post-detox centre for recovering alcoholics. In 1998, it was home to a group of Bosnian children receiving medical treatment in Australia; and following that, it became a place of retreat and relaxation for carers. As a Carers’ Retreat, Comely Bank was part of the Sisters of Charity Community Care. It was subsequently leased to EACH Social and Community Health. This organisation is interested now in buying the property so their programs can continue.